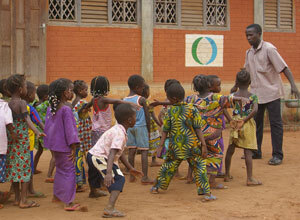 Your donations are used to help needy people in developing countries to stand on their own two feet. 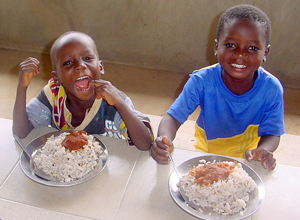 Your donations are also used for educational and awareness-raising activities in Japan to enable more people to understand hunger and poverty in the world and international cooperation. You donations are also used for operating expenses. *If you would like to make a donation to support a specific country, please let us know which country you would like to support. *Even if you do not specify a country for your donation, we would appreciate it if you would let us know your name, address, and phone number. *If you would like to make a donation to support a specific country, please stipulate the country on the application form for postal transfer. 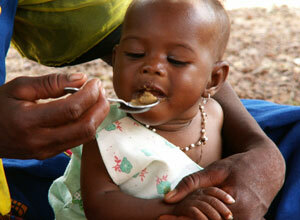 A baby is treated for malnutrition at the health care center. 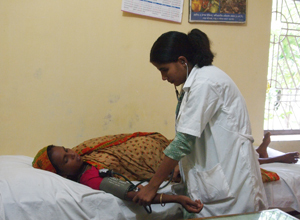 A pregnant mother has a physical exam at the health care center for mother and child. 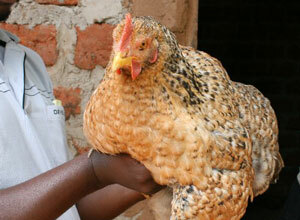 Increasing income by selling eggs from local chicken and improving nutrition by eating eggs.